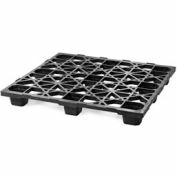 This nestable plastic pallet resists weather, splitting mildew and rot. 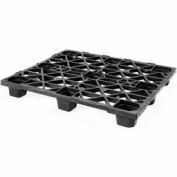 Plastic pallet is made from 100% ACM (PE virgin material and PE recycled material) recyclable black material. Nests for efficient storage when not in use. 1-1/2 nesting height. 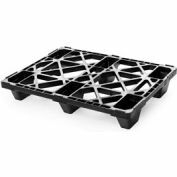 Sturdy construction gives this plastic pallet a static 3500 lb. or a dynamic 2200 lb. 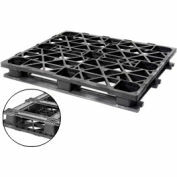 capacity (the weight needs to be evenly distributed) and allows 4-way forklift entry with a fork clearance of 3-1/2" x 11-1/2". 9 feet on the bottom to support the weight. Measures 48"L x 40"W x 5.2"H. Sold in bundles of 10. 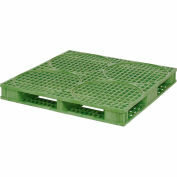 Note: Because of recycled plastic material, pallet will vary in color.Ideal for one-way shipping. The products are good but the smell is not good. 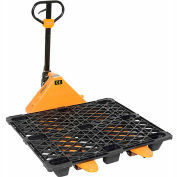 Your review: The pallets are great to use. They are better than the wood pallets. Your review: Love that these are reusable and stackable. Great pound capacity for our needs. Your review: Easily ordered. Arrived very quickly. Low shipping costs. Your review: Product was good. did just what I wanted it to do. Keeps things off the floor in the crawl space. 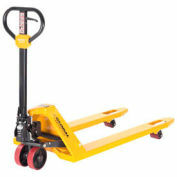 Light weight and easy to move. Your review: these worked perfect in our attic storage to lay on flooring to overlap wiring. 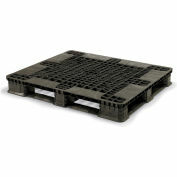 Your review: The pallets have done exactly the job they were ordered for. 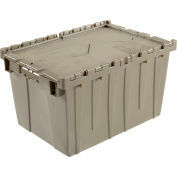 Your review: these are the least expensive shipping pallets for international shipments where we don't get our returns. they work nicely and take up very little room. 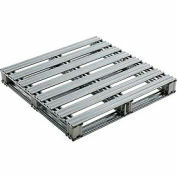 Your review: The pallets are wonderful, we can pile items on them and they seem to be holding up just fine. Thank you. Your review: The products are good but the smell is not good. There are 12 questions and 1 answers for this product. 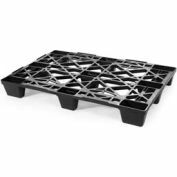 Is this pallet ISPM 15 exempt for export? Hello Claudia, yes this pallet is ISPM15 exempt. Thank you for your interest in our product.